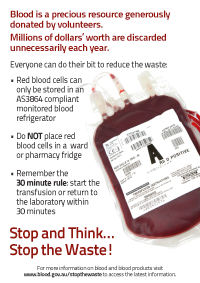 These A3 sized posters are ideal for using in clinical areas to promote the Stop the Waste! message. 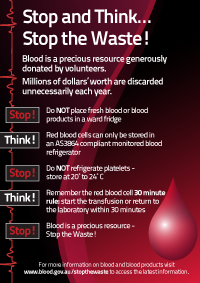 Three designs are available – red blood cells, platelets and Stop and Think! Try rotating each design for one month at a time for maximum impact. 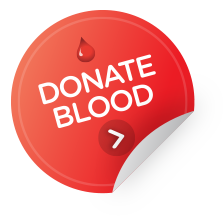 These swing tags are designed to easily attach on to fresh blood product bags. They provide bright and visual wastage reminders to porters and clinicians. Attach at the time of release from the laboratory or blood bank. There is a design for each main product group – red blood cells, platelets and frozen products. These magnets come in three designs and can be applied to any magnetic surface such as ward fridges or white boards. 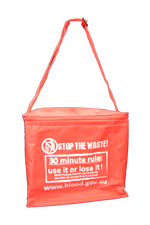 These handy cooler bags are great for transporting blood and blood products around the hospital while minimising handling. They also come with a timely reminder about the 30 minute rule: use it or lose it! The lid lining has a safety disclaimer to remind staff that they bags are intended for transport only, not storage. 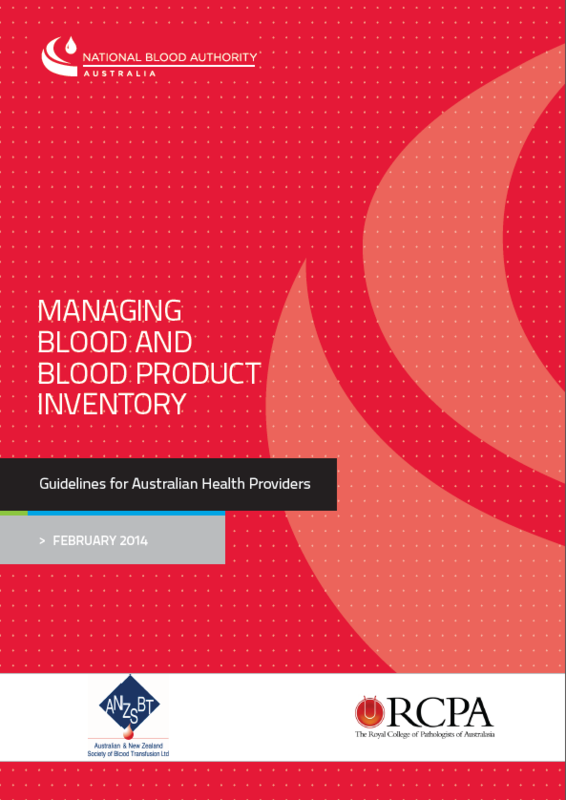 Managing Blood and Blood Product Inventory: Guidelines for Australian Health Providers is a great guide for managing blood and blood products inventory and includes information and tools on setting up a transfer arrangement to reduce wastage in your area. 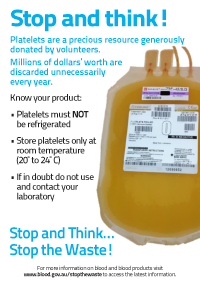 The guideline has been endorsed by the Royal College of Pathologists of Australia (RCPA) and the Australian and New Zealand Society of Blood Transfusion (ANZSBT) and supported by the National Association of Testing Authorities (NATA).